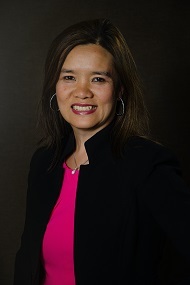 Stephanie Phetsamay Stobbe, a professor in Conflict Resolution Studies and a former refugee from Laos, will be speaking on the topic - "From Refugee to Citizen: The Resettlement of Indochinese Refugees in Canada." The presentation will focus on Mennonite Central Committee's role in resettling Indochinese refugees, including the "Boat People," and the experiences of Mennonite sponsors and refugees during the late 1970s and early 1980s. Dr. Stobbe will also be sharing personal stories of her family's traumatic escape, resettlement, and integration in Canada; and discussing the current response to the "Boat People" crises on the Mediterranean Sea and the Bay of Bengal that is reminiscent of what occurred 40 years ago. Dr. Stobbe is a faculty member at Menno Simons College, a college of Canadian Mennonite University, located at the University of Winnipeg. According to the United Nations Refugee Agency's UNHCR 2014 Global Trends report, there are 59.5 million forcibly displaced migrants worldwide, including 19.5 million refugees. Canada is regarded as a humanitarian and compassionate country that has a long tradition of resettling refugees and other forced migrants. In 1979-1980, Canada settled over 60,000 Indochinese refugees, more refugees per capita than any other nation. During this first wave of Southeast Asian refugees, Canadians responded in extraordinary ways, opening their communities, developing organizations, and creating legislation to welcome these forced migrants. In March 1979, Mennonite Central Committee (MCC), a global, non-profit organization, signed the first "umbrella agreement" with the federal government to allow constituent churches to sponsor refugees under MCC, thereby expediting the process. Since that movement, Canada continues to sponsor refugees as part of its support for refugee protection. This presentation examines the resettlement experiences of Southeast Asian refugees in Canada in the 1970s and 1980s, and also explores the more current refugee resettlement situations in Canada. In particular, it looks at government policies, obstacles to successful resettlement, and integration services for newcomers, to highlight the changes that have been made, as well as further changes and recommendations that are important in meeting the needs of refugees. In 2011 Stephanie Phetsamay Stobbe co-edited a book, Critical Aspects of Gender in Conflict Resolution, Peacebuilding, and Social Movements (2011) for Emerald Publishing's series on Research in Social Movements, Conflicts and Change. Her work on Gender and Conflict Resolution led to an invitation in 2012 to join the American Bar Association team of experts to discuss "Gender-Responsive Peacebuilding: Implementing the Secretary-General's Report on Women's Participation in Peacebuilding," and provide recommendations to the United Nations Development Programme, Peacebuilding Support Office as they address UN Security Council Resolutions 1325 and 1889. In that same year, she also served as a Visiting Professor/Researcher at the Matsunaga Institute for Peace and Conflict Resolution at the University of Hawaii. Her current research projects include Experiences of Professional Immigrants in Canada's Labour Market: A Study of the Past 25 Years; and A History of Refugee Families in Manitoba and Abroad: Intergenerational Oral History, Digital Storytelling, and Conflict Resolution Among Refugees in the Diaspora Since the 1970s. Her new book, Conflict Resolution and Peacebuilding in Laos: Perspective for Today's World, was released in July 2015.